Yanna Sun is a PhD candidate under the supervision of Prof. Yongsheng Chen at Nankai University. She received her bachelor’s degree in polymeric materials science from Ocean University of China in 2015. Her research focuses on the design and synthesis of organic photovoltaic materials. Huan-Huan Gao is a PhD candidate under the supervision of Prof. Yongsheng Chen and Xiangjian Wan at Nankai University. She received her bachelor’s degree in chemistry from Nanyang Normal University in 2013 and master’s degree in organic chemistry from Nankai University in 2016. Her research focuses on the design and synthesis of organic photovoltaic materials. Yongsheng Chen received his PhD in chemistry at the University of Victoria in 1997. From 2003, he has been a Chair Professor at Nankai University. His main research interests focus on the carbon-based nanomaterials and organic functional materials for green energy applications. 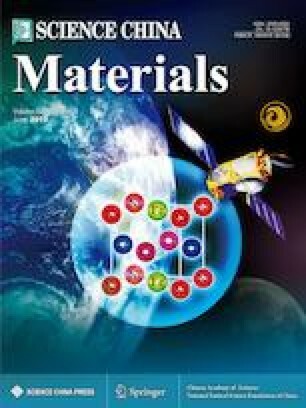 Supplementary material is available for this article at https://doi.org/10.1007/s40843-019-9415-2 and is accessible for authorized users. 本文设计合成了三个受体-给体-受体骨架的非富勒烯受体, 它们具有不同数目氟原子修饰的端基, 将其分别命名为OBTT-0F, OBTT-2F和OBTT-4F. 氟端基使得最低未占分子轨道下移, 光谱红 移, π-π堆叠和非富勒烯受体的结晶性增强. 通过与聚合物给体 PBDB-T共混, 基于OBTT-2F的分子同时获得了相对高的电流 (20.83 mA cm−2)和能量转换效率(12.36%). 该结果证明向端基上引 入氟原子是调控非富勒烯受体光电性能和光伏效率的简单有效的 方法. This work was supported by the Ministry of Science and Technology (2016YFA0200200), the National Natural Science Foundation of China (91633301 and 51773095), the Natural Science Foundation of Tianjin City (17JCJQJC44500 and 17CZDJC31100) and 111 Project (B12015). This work is dedicated to the 100th anniversary of Nankai University.